Located deep within the Vhan Myr Ocean, this chain of thirty large and over two hundred small islands is home to the Sultanate of Rhaygos; the largest of the three great Hakeen island nations. Long ago, Rhaygos was the largest trading partner with both the Hakeen Xholar Empire on Corwyn, and the Hakeen civilization of Old Xhola on Za'har. Today, this independant island nation is wealthy and thriving. Rhaygos is known throughout the world of Corwyn as the ‘Isle of Spices,’ because it is Corwyn’s primary source for cinnamon, nutmeg, pepper, and sage. The islands derive enormous profits from the sales of spices and herbs, as well as her other lesser commodities. The spice merchants of the island realm are infamous for their cutthroat business tactics and fantastic greed. The phrase ‘Rhaygosi Spicer’ is not meant as a term of endearment. The ruler of the island has always held the Hakeen Royal title of Sultan; who rules the island nation from the fabulous Lavender Palace, located within the capitol city of Chondar. Once conquered by the Eloysians, Rhaygos has a very strong military to ensure that never happens again. 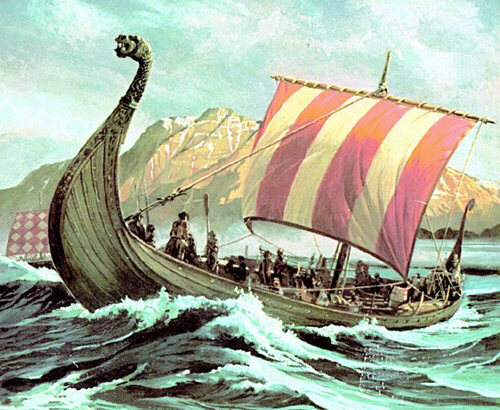 Rhaygos also has a very capable navy of 42 vessels to protect the sea lanes, and a standing army of 7,000 men. In time of war, the Sultan can field up to 50,000 troops. Rhaygosi ships are easily identifiable by their dark rosewood hulls, and their bright red and white vertically striped lateen sails. Other Rhaygosi Cities: Abu-Nhar, Ebros, Ghora, and Zal'Marid. Long ago, when the ancient Hakeen Empire of Old Xhola was thriving on the Continent of Za'har, its rulers; the Dragonfly Emperors of Abu-Zhin, sent many explorers west across the Vhan Myr in an effort to discovery new territory to further expand their enormous Empire. In the year AR -1191, those explorers discovered the Rhaygos Islands, and soon after, they discovered the fabulous spice fields found there. In the year AR -1181, the islands of Ilsenene and their rich pearl-beds were discovered. Shortly thereafter, in AR -1175, Hakeen explorers discovered the islands of Styr, and their rich fruit groves. Over the next several centuries, the Dragonfly Emperors colonized all three island chains and they became very wealthy selling those Rhaygosi spices, Ilseni pearls, and Styrian fruits back on Za'har. Of the three island colonies; Rhaygos was the largest and considered the most profitable and most important to the Dragonfly Emperors of Old Xhola. In AR 255, Emperor Damodar led a gigantic fleet of Eloysian warships against the three Hakeen island nations. First to be captured was Ilsenene in AR 255, followed soon after by Styr, which was conquered in the year AR 266. Rhaygos was much stronger militarily and resisted much longer. Eventually, in AR 358, the last Rhaygosi Sultan surrendered to the Eloysian Emperor Farshad. For the next 1,700 years, the three island realms were subject to the rule of Hamanid governors appointed by the Emperors in Sanjakar. When the Eloysian Empire finally collapsed in AR 2079, the Rhaygosi soon overthrew their Eloysian masters and declared Independence once again. 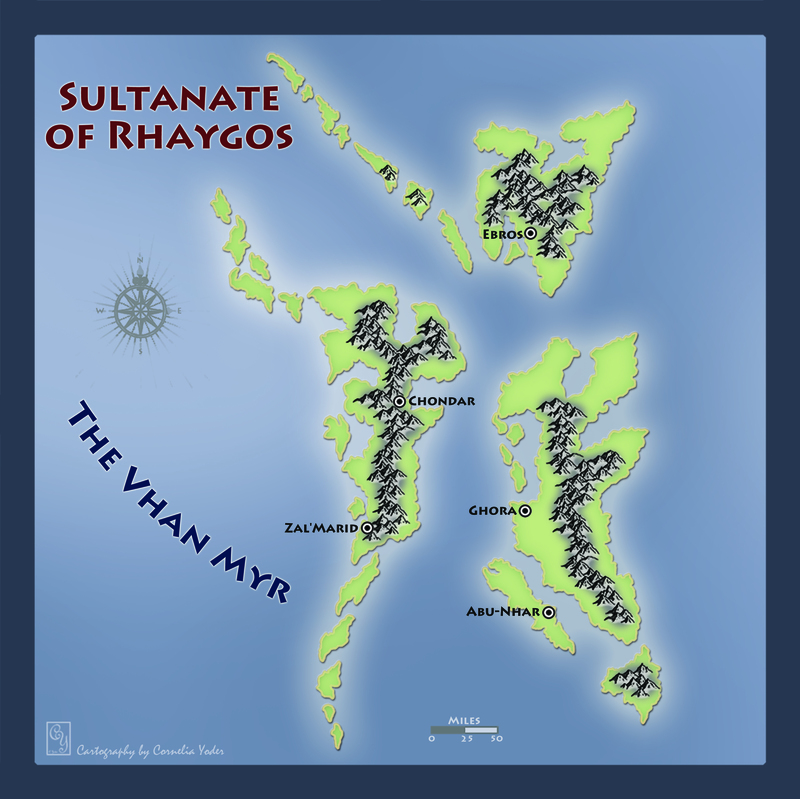 For the centuries thereafter, Rhaygos has been an independent state called the Sultanate of Rhaygos. This political arrangement still holds true today.